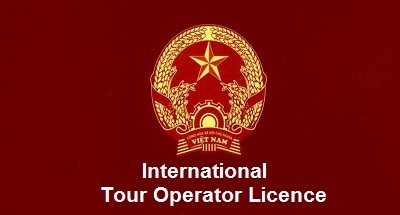 Arrival at Yangon International Airport, welcome by your local tour guide & transfer to hotel. Free at leisure on your own. 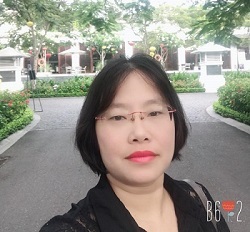 Overnight at hotel in Yangon. After having breakfast at the hotel, the guide will pick you and drive to Golden Rock near KyeikHto town in Mon State. On the way to Golden Rock, we will visit to Allied War Cemetery, Kyeik Pun Pagoda and Kyat Kha Wine Monastery. After that,proceed to Golden Rock ,a huge boulder covered by gold leaf and delicately balanced on the edge of a cliff. 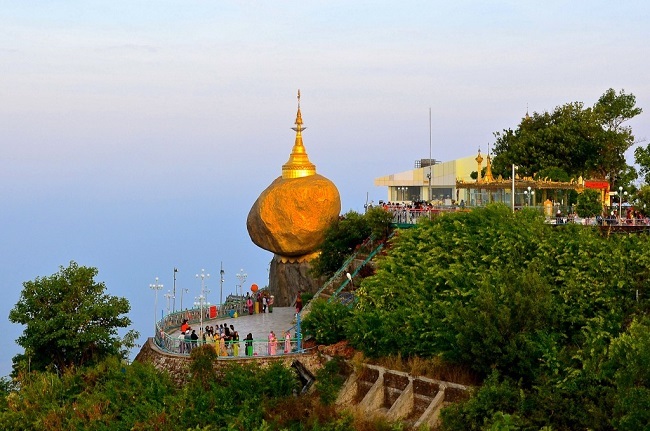 The pagoda at the Golden Rock is said to hold a hair of the Buddha. Late morning, arrive at Kyaikhtiyo base camp and transfer to the transit junction with one of the small open trucks in a one hour ride. After lunch, start an easy walk up to the Golden Rock and enjoy sunset from this unforgettable site. Overnight at hotel in Golden Rock. 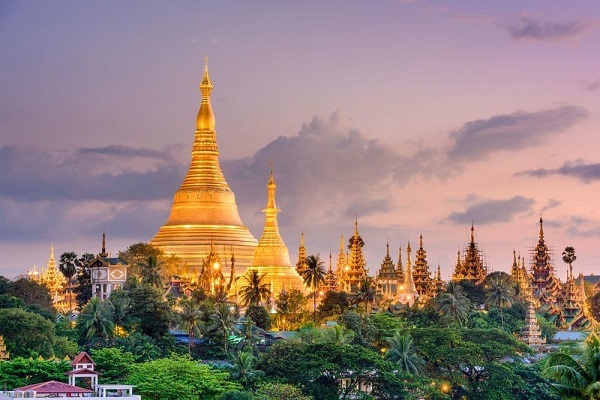 Morning at leisure and then in the midmorning, drive down to the base camp and return to Yangon via Bago ,an ancient capital dating back to the 6th century. 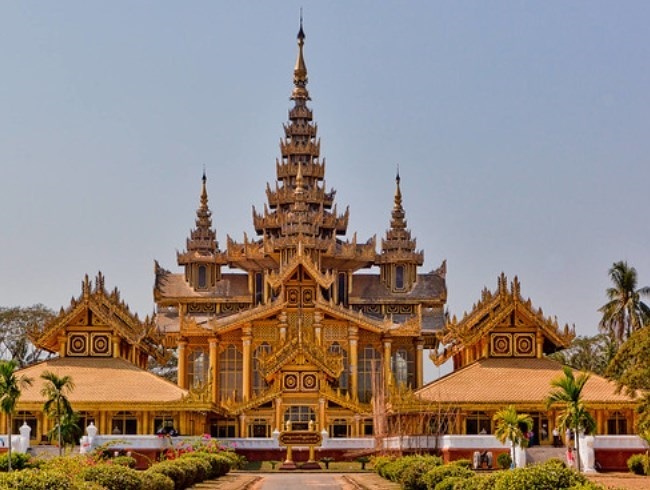 Sightseeing in Bago includes the beautiful 55m long reclining Buddha called Shwethalyaung and the Mon style Shwemawdaw Pagoda, one of the most venerated in Myanmar. 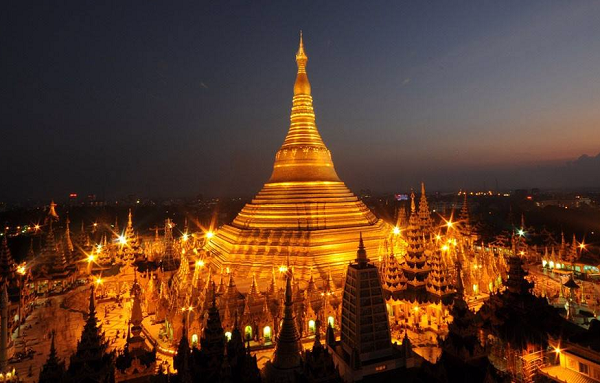 Its spire stands 114m high and is taller even than the Shwedagon Pagoda. Also visit the old Palace of Kambozathadi and the huge four sitting Buddhas.Arrive Yangon & transfer to hotel to have a rest before the sightseeing. 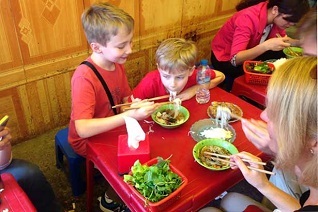 At Afternoon, the driver will pick you to the Great Shwe Dagon Pagoda which is one of the wonders of the world and toBogyoke Market, formerly known as Scott’s Market, where there is time to browse through the dozens of stalls and shops. This is Yangon’s best market for handicrafts and other goods. (Note: Market is closed on Mondays and public holidays). Then visit Little India and China town, a colorful cacophony of restaurants, temples and markets. Overnight at hotel in Yangon. 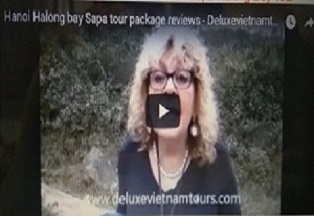 In the morning,the guide and driver will pick you and drive to Thanlyin which was the main port city of the Second Myanmar Empire during 15 and 16 century.It is just an hour drive from Yangon and you can visit to Yay LeဲPagoda which is on the island in the river,the Nga Htat Gyi pagoda and the Kyeik Kauk pagoda.After that,drive back to Yangon and have a rest at the hotel before the sightseeing to the downtown of Yangon,Bogyoke Aung San Market and the china town. Overnight at hotel in Yangon. After breakfast at hotel transfer to Yangon airport for flight to destination and join your departure flight.